Many students are probably wondering or unaware why they had a day off on Monday, February 8th. It’s because for the first time ever, students enrolled in a New York public school got the day off for Chinese New Year or Lunar New Year, thanks to Mayor Bill de Blasio. By implementing this holiday into public school calendars, Asian families who reside in New York City are allowed to celebrate an important day without the worry of their children missing school, which was actually a problem for quite some time. 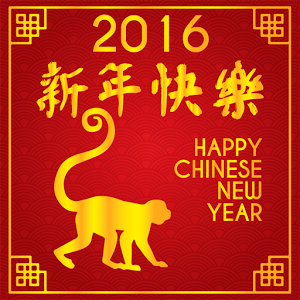 “The Lunar New Year is celebrated throughout many parts of Asia. When it falls on a school day, some city schools with large Asian populations have more than half their students absent that day,” writes Elizabeth A. Harris and Michael M. Grynbaum for The New York Times. This holiday is of great importance to many Asian families, which accounts for about 15 percent of NYC school students, citywide. And for the rest of the students at Frank Sinatra School of the Arts who don’t celebrate this holiday, many were still happy for this day off and used it to their benefit. “I feel bad because I don’t celebrate this holiday, but I’m grateful to get a day off,” Annie Lee-Daly a senior art major, revealed. Not only did Mayor de Blasio and his administration add in Chinese New Year to New York State public school the Mayor’s administration also added two Muslim holy days to the school calendar, Eid al-Fitr and Eid al-Adha. With the newly added holidays to public school calendars some students think it would be fair if their cultural holidays were to be added as well. “I think Korean Thanksgiving, Choosuk, is a pretty important holiday in the Korean culture, enough to have a day off; this holiday is just as important as American Thanksgiving to the Korean culture,” Minah Lee a senior art major in Frank Sinatra School of the Arts, expressed. Overall, Mayor de Blasio is trying hard to create a more all-inclusive city. This is especially important because of the nature of New York City, being as diverse as it is, there should be more to bring the city together and understand the needs of others that live here as well. Implementing off days for certain holidays may seem like a small action, but in fact it’s much more than that; it creates a shared learning environment and inclusiveness in the city.